Note that I have 3 different Lil Peep posters listed. 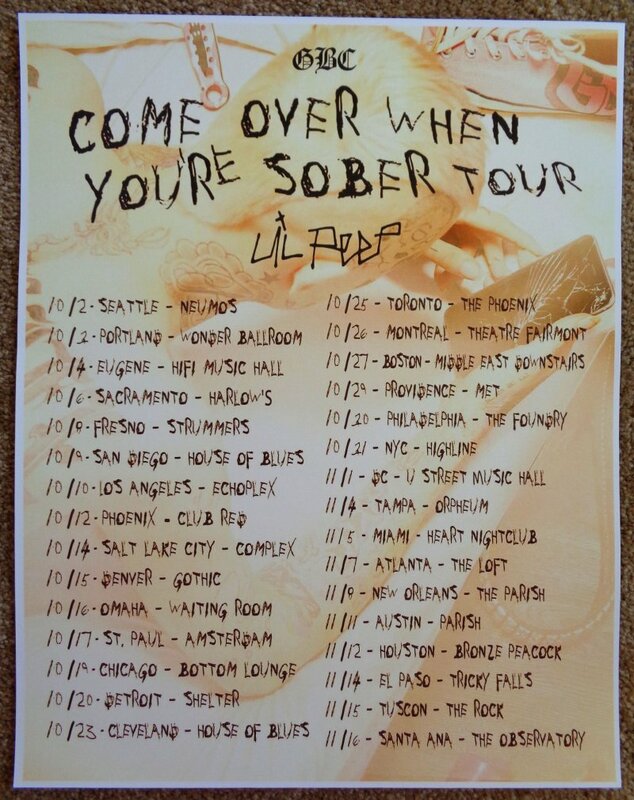 This LIL PEEP advertising poster is hard-to-find. It was NOT available for retail sale, only being used at stores to promote his October-November 2017 Tour. Unfortunately, he passed away while on this tour. Dates, cities, and venues are listed. Poster is in great condition for display, at least Mint/Near-Mint. It will be shipped rolled in a sturdy tube. Size is approximately 11" by 14".